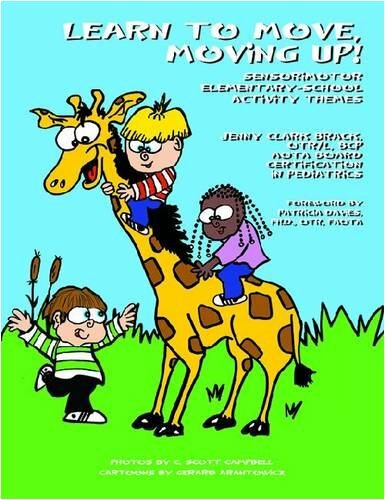 Using the same format as her first book, Learn to Move, Move to Learn (95798), Jenny Brack presents 30 sensory-based activities for early elementary school-aged children (K-2). Suggests ways that they can be incorporated into busy school schedules and environments. Lesson plans offer activities structured around seven elements designed for both learning and fun: Warm-Up, Vestibular, Proprioception, Balance, Eye-Hand Coordination, Cool-Down and Fine Motor. These literacy-rich lesson plans include specially designed curriculum suggestions and underscore how activities can be adapted to meet state and other standards. The book also contains a discussion of sensory integration and sensory processing disorders; assessment and evaluation considerations, including a reproducible Teacher Observation Checklist; evidence-based best-practice strategies; how to integrate lessons into elementary school environments; as well as learning enrichment suggestions. Play therapy.